Yesterday’s Google doodle honored the 100th birthday of Disney artist Mary Blair, and you know I couldn’t let that go by without a mention. So this week’s Saturday Morning Cartoons entry is dedicated to the beautiful, bold, and brilliant work of a true pioneer in the art of animation. Blair showed her talent for art from a very young age. She was an alumna of the Chouinard Art Institute, and went to work for Disney rival Ub Iwerks’ cartoon studio (whose shorts were largely released by MGM) in 1933, alongside her husband, Lee Blair. The Blairs eventually ended up working for Disney, and Mary cut her teeth working on an ultimately unreleased extra segment of the 1940 musical Fantasia and contributing to the production of Dumbo (1941). Throughout the 1940s, she worked on the series of Disney package films that were created to save money when the animation studio was essentially forced to shut down production during World War II. Blair traveled to South America with other animators as a part of FDR’s “Good Neighbor” policy, which resulted in the production of the first two package films: Saludos Amigos (1942) and The Three Cabelleros (1944). Both Blairs appear in the flesh (along with Walt and fellow animators Norman Ferguson–the creator of Pluto–and Frank Thomas–one of the legendary “Nine Old Men”) during the live-action segments that are interspersed between the animation of Amigos. Blair ultimately served as one of the art supervisors for both of these films, and many of the South American landscapes present in these films are based on watercolors that she painted while on that trip (an example of the concept art she created in South America is posted above). Though she worked on other package films, shorts, and live-action/animation combo films like Song of the South (1946) throughout the decade, Blair’s greatest contribution to the Disney canon arguably came with her work as the color stylist and concept artist for the studio’s first three forays back into the world of feature-length animation: Cinderella (1950), Alice in Wonderland (1951), and Peter Pan (1953). 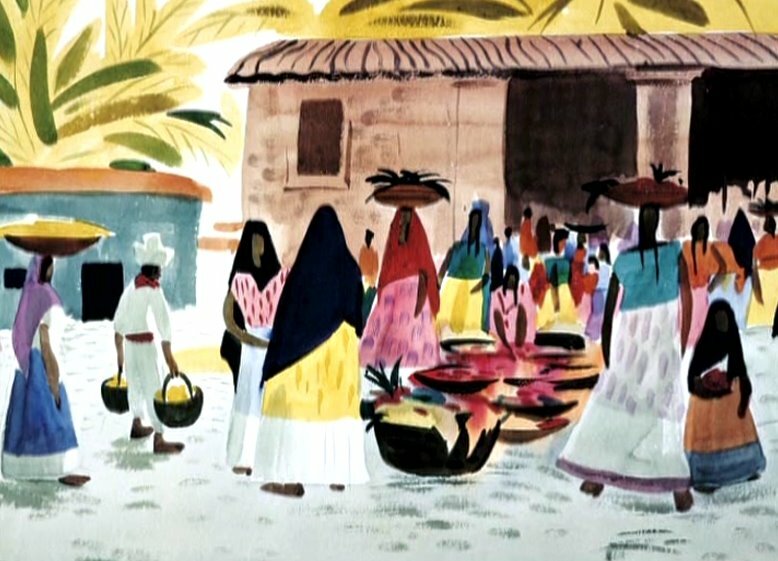 Her somewhat Modernist artistic style is all over these films, and so influential that homages to it continue to pop up in animated features even today. The two most popular terms used to describe Blair’s work seem to be “childlike” and “innocent.” And while these qualities are abundant, there is also a casual elegance to the forms that she designs. The color combinations Blair uses are deceptively simple, yet beautifully blended to create candy-coated worlds of visual splendor. 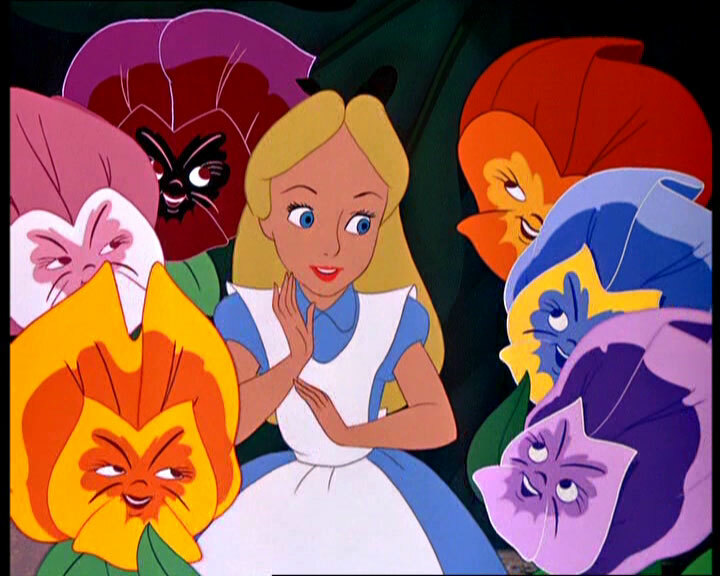 This is particularly evident in Alice, where the story itself, with all its illogical genius, needs the burst of eye-popping, resplendent color to fully convey the nuances of author Lewis Carroll’s wonderful world. Blair’s freedom with bold swaths of color enhances the surrealism of the film while adding an endearing touch of whimsy that makes the film so very appealing. Blair’s work went beyond her storied work for the House of Mouse–she also was responsible for numerous advertising campaigns throughout the 1950s and 1960s, and she was also, fittingly, a children’s book illustrator. In that capacity, Blair illustrated several stories in the popular Little Golden Books series, including I Can Fly (1951) and the Golden Book of Little Verses (1953). Though Blair left the Disney studios after production on Peter Pan was completed, Walt (who had long demonstrated that he was one of Blair’s biggest fans) asked her to design the “It’s a Small World” pavilion for the 1964 World’s Fair in New York. The attraction was later installed at Disneyland in California and replicated at other Disney parks around the world (some of her concept art for the ride is posted above). Blair also created murals for the Tomorrowland section of Disneyland and the Contemporary Resort at Disney World in Florida. 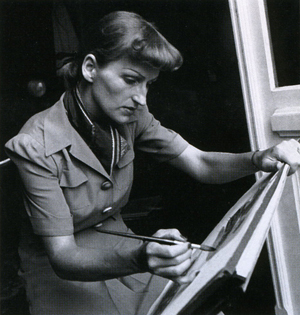 Mary Blair passed away in 1978, but her influence on the history of animation is undeniable. Blair was a pioneer in the truest sense of the word. Not only did she do remarkable things with color and design, but she paved the way for female animators to be taken seriously in the field (though, admittedly, the number of female animators is sadly still disproportionate to their male counterparts even today). In recognition of her contributions, Blair was named a Disney Legend in 1991. Her work continues to be studied and admired for its beauty, charm, and sheer inventiveness. Over a career spanning more than four decades, Blair didn’t just design cartoons–she helped elevate animation into an art form. In spite of being a fan of Disney’s animated features from an early age, I have yet to learn about the masters behind such beautiful creations. 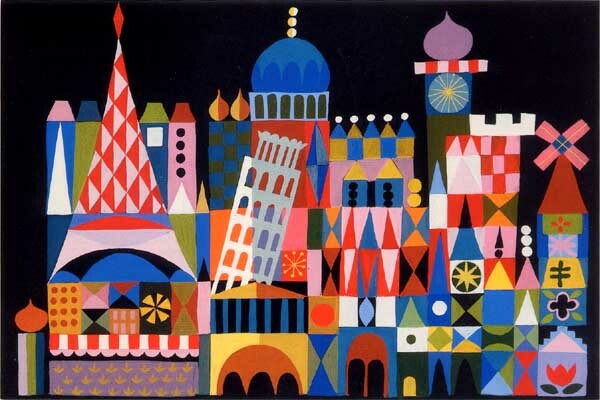 It’s embarrassing to admit that names such as Mary Blair remain as somewhat of a question mark, so thank you for actually paying tribute to her body of work. I would not have known her otherwise.